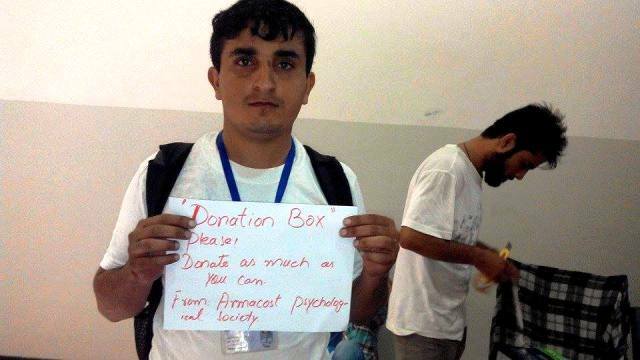 This month the Armacost Psychology Society and RCYG (Red Crescent Youth Group) collected donations for IDPs (Internally Displaced Persons). Around Rs 160,000 was raised. The campaign was organized by Tariq Kaleem, Manzoor Tareen, Muzaffar Shah, Zahid Makhdoom (President FSA), Raza Wazir, Numan Wazir, Zarak Khan, Adil Khan, Masood Zarkoon, and Safi Aslam. God bless you all for organizing this fundraiser!! I hope you all feel proud for doing this amazing thing; I know I am. Great Work Guys!!! Please continue it…. Lot of People are waiting your help!! and Prof. Ather Azeem have lots of Experience…. He can give you lots of suggestions….please use them……God bless you all.